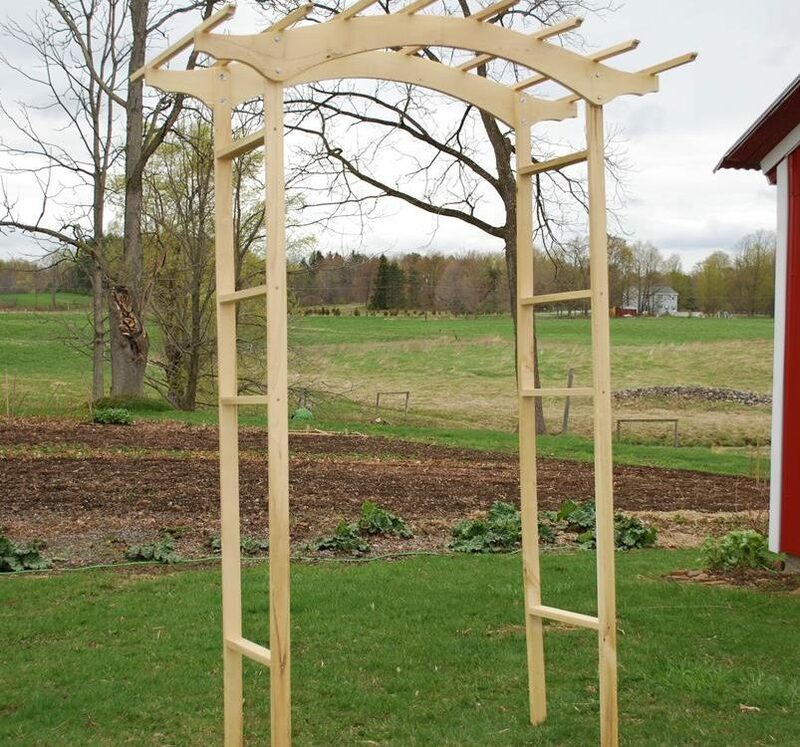 The unique, bow-shaped top creates a beautifully shaped arbor that complements any setting, from natural to formal. 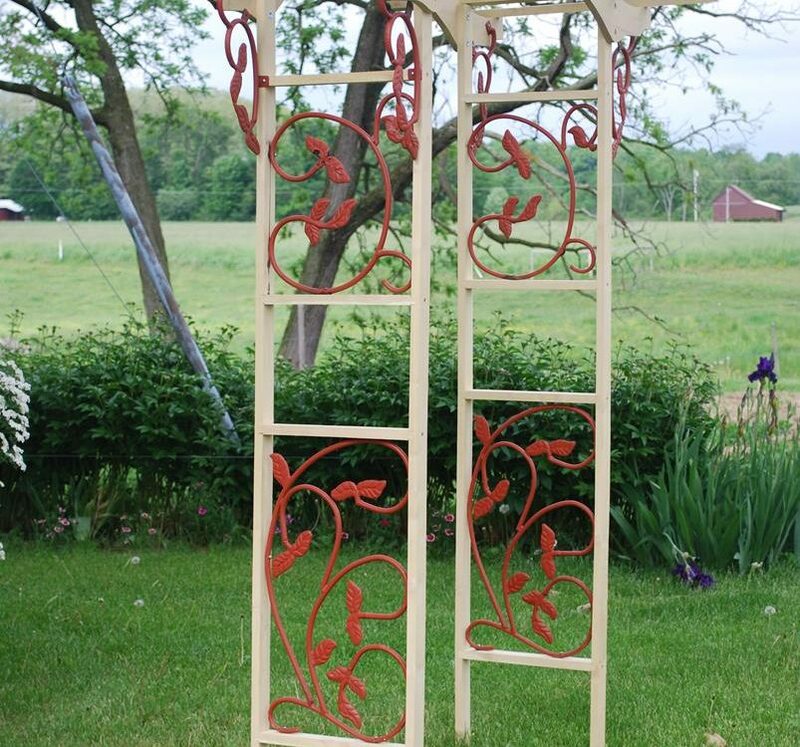 The side panels where fitted with a customer supplied decorative metal pieces, ready to support flowering vines and climbing roses. 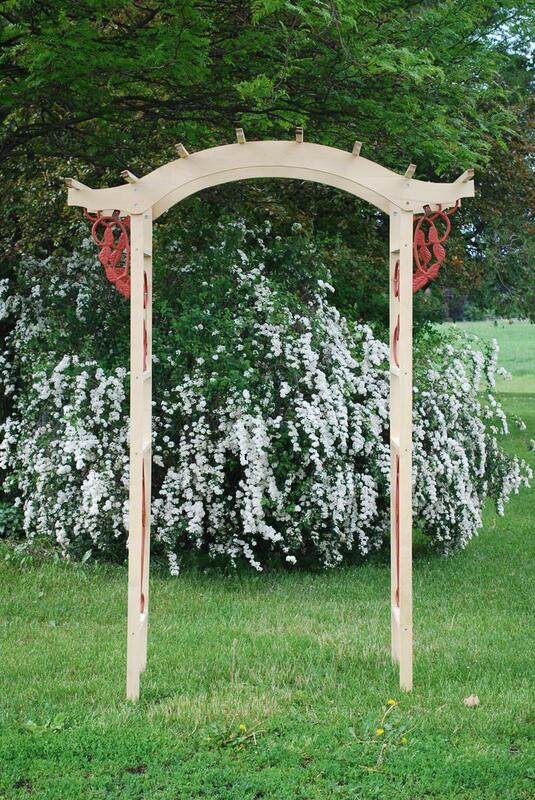 Made in USA from 100% Black Locust that is durable and naturally decay-resistant. 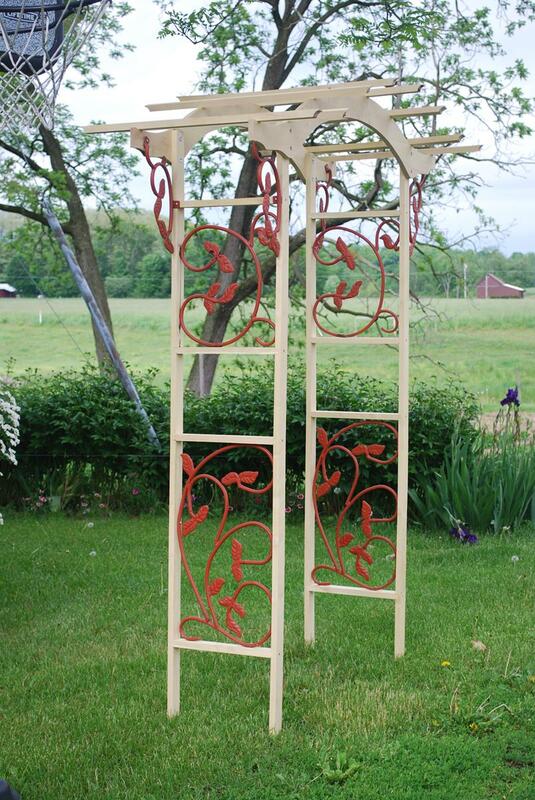 It can be painted, stained, cleared with an exterior finish, or be left unfinished to weather to a soft gray.